We took off all these 'dry' supers because the bees don't need the space in the winter and if we had left it on the hive volume would have been much larger. It is a little like having a bigger house than you need ... the central heating costs are higher than you want. In the bees case, the central heating 'fuel' is the honey stores, so keeping a nice small hive in the winter needs less effort to keep warm, and so uses less bee energy and honey stores. 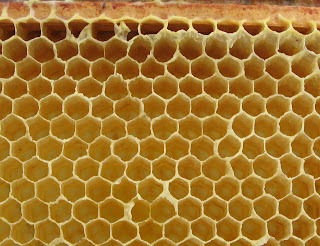 Honeycomb is the favourite home of the Wax Moth. If you take the supers away from the bees then there is nothing to protect it from the ravages of the Wax Moth. These little critters lay thier eggs in the wax. The eggs hatch out into catapillars which live off the wax and any remnants left in the cells (their very favourite home is honeycomb that has been used for breeding bees, because they like the larval skins left in the cells ... yuk!). As the catapillars move around the wax, they destroy it and leave a mess of silk and droppings everywhere. Not content to destroy the wax, when they pupate, they dig a hollow in the woodwork of the hive as well. There are a number of ways to protect against Wax Moth. There is a biological spray of a bacillus which kills the larvae. The trade name is 'Certan' and it is available from the equipment manufacturers. You make up a diluted solution and spray it on all the dry combs. It is harmless to bees, but is a bit of a performance if you have lots of supers, because you need to spray both sides of all the frames. If you can stop the moth getting to the supers then they cannot lay eggs in the first place. For the last couple of years I have been wrapping each super in industrial pallet shrink wrap. I wrap each super separately, so if the moth gets into one super they cannot travel to another in the stack. Also the shrink wrap is clear so light is let into the supers, and the wax moth don't like light. Hopefully my evening spent shrink wrapping supers and storing them in the garage will mean that next year I have a stock of frames with beeswax drawn out ready for the bees to fill with honey. Making beeswax and creating the honeycomb takes the bees some time, and they have to eat honey to get the energy to create the wax. 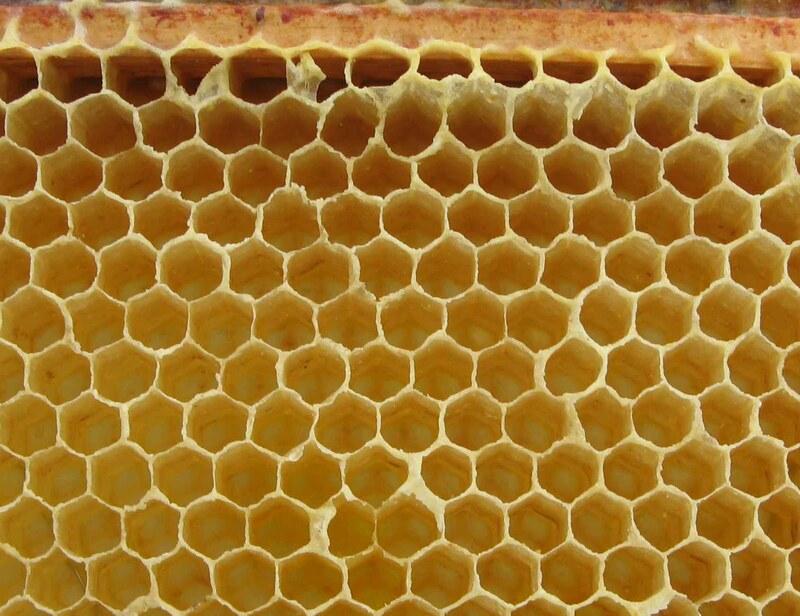 They much prefer to have ready drawn out beeswax that they can use straight away, so these supers should help the bees collect more honey next year.